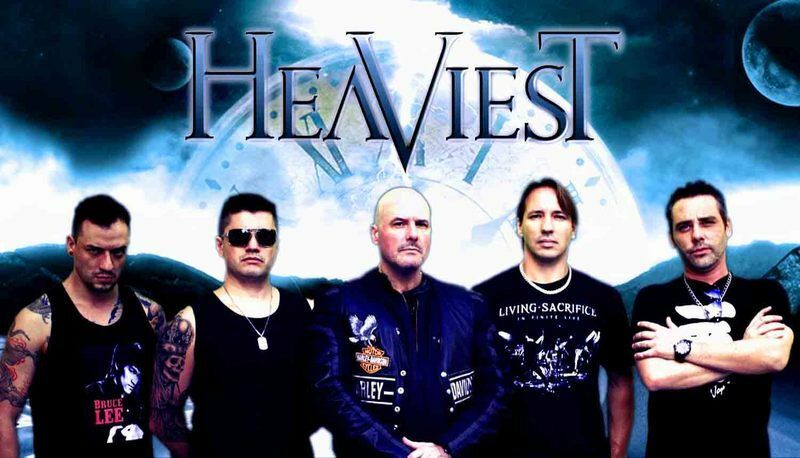 Heaviest is a Brazilian band formed in late 2014. The group features a heavy and modern sound with the main influences bands like Adrenaline Mob, Stone Sour and Disturbed, whose also added personal influences of each member, creating a unique musical direction within the Heavy Metal.The debut álbum “Nohwhere” and two vídeo clips were released on august 2015.In July 2015 the drummer Felipe Perini left the band and the Heaviest announced the new drummer Vito Montanaro.Founded in 2014, Heaviest is a Brazilian rock band composed by Alax William (vocals), Guto Mantesso (guitar), Renato Dias (bass) and Vito Montanaro (drums). With a new formation announced at the end of 2017, the group released in March 2018 the first music video "Fire It Up", single that includes the CD "The Wall Of Chaos-t", scheduled to launch in the first half of 2018.The video clip "Fire It Up" had overproduction involving more than 50 specialists distributed in design, infrastructure, assembly, lighting, sound, image capture, coordination and editing. The initiative was supported by companies SowStore, Promoled Events, Animated Showcase, BZP, Lafstudio, Stone Guitar Company, Without Destination Leather and Mondo Cão.Realistically, "Nowhere"'s successor album deals with controversial issues such as cyber bullying, terrorism, abuse of power, and religious fanaticism. 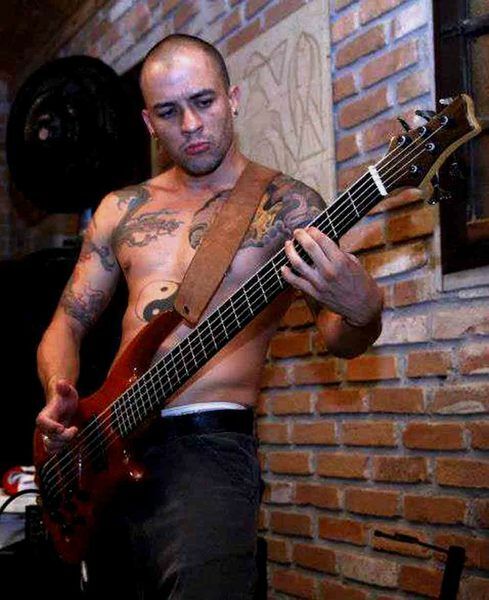 The album is produced by Guto Mantesso, co-produced by HEAVIEST and renowned American artist Roy Z. For those who do not know, the professional signs works by world heavy metal giants such as Bruce Dickinson, Helloween, Sepultura, Judas Priest, Sebastian Bach, among others. More details about the release will be announced soon by the band.HEAVIEST announce their new frontman. The new singer is the great musician, singer and composer Alax William. Considered one of the most versatile voices today, the musician has more than 20 years of experience and has contributed significantly since his arrival with the band’s new identity.Alax replaces renowned vocalist Mário Pastore who recorded with HEAVIEST the award-winning debut ‘Nowhere’, released in 2015.Another musician who left the band was guitarist Marcio Eidt, but there will be no substitute for his position. Guitarist Guto Mantesso will be in charge of all guitar lines and the group will follow as a quartet. 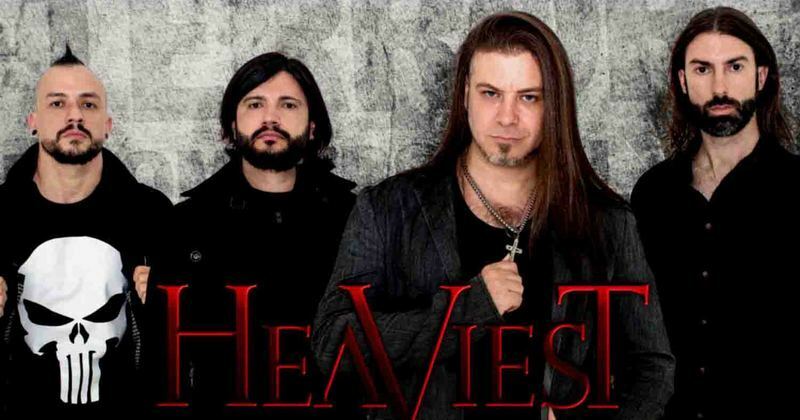 The bassist Renato Dias and drummer Vito Montanaro complete the lineup.Already with the full lineup and support of the new vocalist with lyrics and arrangements for the second album, HEAVIEST ares preparing thier second album that is scheduled to be released in early 2018. Many of the things that we imagine to have in a Rock band always happen with the certainty that it will come at a certain stage, and one of the things that is already common to occur is the exit and exchange of members. But such change is seen, for the most part, as something pejorative, not taking into account what can be provided in the present. 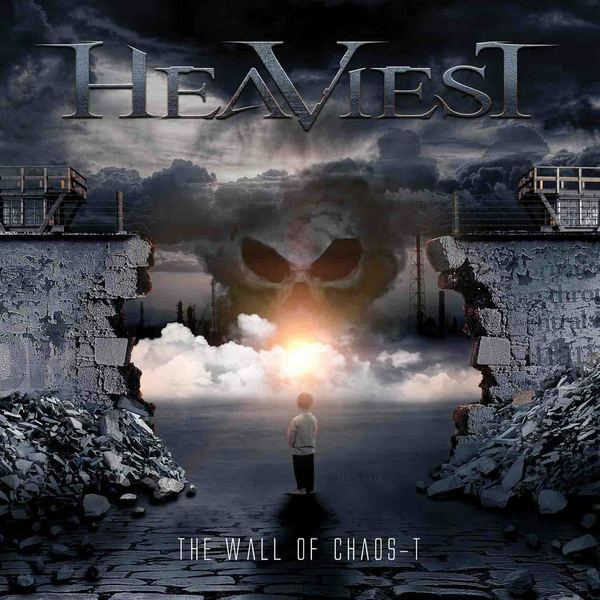 Writing a new career story, and leaving the past behind, Heaviest buries his confidence in his second album, "The Wall Of Chaos-T."Listening to the disc carefully, we find ourselves in an environment fraught with battles, adversities, divergences and virtual abuses. After all, the theme of the disc points to issues that are debatable around the world, such as extremism, bribery, disrespect, fervent passions and cyber bullying. And if this content is that the band bets again on modern Heavy Metal, enforcing a wall difficult to be knocked down, allowing more weight and energy in the assertion today without leaving the melodies aside.The production demonstrates an absurd sound resistance, superimposed on the bed of heavy riffs (with the presence of a single guitar) and rhythmic base of extreme supremacy, sublimely succeeding in hitting dense hegemonies, where the final touch of the product was completed by nothing less than the Roy-Z, who co-produced the album. About the layout, we glimpse a small boy finding a light in the midst of the holocaust, in addition to highlighting the lyrical concept through it.It is very easy to find bands that are prized for the most effective (1990s) footprint, especially in the United States and European countries, but it is only here in Brazil that Heaviest abuses these vigorous commands with total wisdom, not leaving the influences traditional Metal side, which puts "The Wall of Chaos-T" as the most virtuoso album of the career. And the transition time conspired good things to the group, bringing more vocal versatility and new thoughts on the part of Alax William.Locking that conclusion, we have the illustrious appearances of great names of the world scene, among them Zak Stevens (Savatage, Circle II Circle, Transiberian Orchestra) and Matias Kupiainen (Stratovarius), having Lucas Bittencourt like national representative. To find more reasons to listen to this great work, only listening to the disc at maximum volume!The 11 tracks on the album do not comment! Right off the bat we have the compact riffs and rhythmic groove of "Like That Ones", followed by the absurd weight of "Thieves Of Live" (the surrounding solos give more melodic tones to music). Mystical stories open the door to the aggressive "Blood" (what Alax does in this song is something surprising), entering a more loaded climate in "Can not You See" (notice the hideous lines of voice and the solos of Matias Kupiainen ). The cadenced "Fire It Up" can be considered the anthem of the band, because the accessible refrain is kept in the head, not stopping singing since the release of the band; "Hunted" bets on intrinsic guitars and rhythmic variations, adding more shine with Zak Stevens' voice, entering the good time changes in the explosive "Kill The King"; "All Of This" boasts as brutally as possible, giving rise to a delightful solo by Lucas Bittencourt and sublime melodies of voice that makes us want to close our eyes to sing along with Alax; "The End" was a little too much Pop, passing obscure and gloomy timbres; "Wake Up" is based on hard guitars, elapsed from the menacing chorus and a few clean passages, ending with the demolishing "E-Crime Suicide. "New directions, new intentions and new paths, but it's the same Heaviest as ever. And "The Wall Of Chaos-T" shows how much the band has matured and what can yield still in the future, being able to conquer the space of unanimity of this new crop of the national Heavy Metal.